Well done Vicki and Alan. Nice story and pics. no guard or safety glasses? to mention the laughs and company. backing plate and did you find the missing bits? loose and got caught behind as it rattled around, but it we didn't find it. one of many "what the heck' things we found and fixed. good to see some pictures and some work being done, more than what I have got to show. Is Alan not eating Pork these days? Vicki has done a fantastic job of bringing it all to life for the rest of us and I'm sure has been contributing in other ways (including, but I'm sure not limited to ensuring Biggles is kept fueled up with regular cups of tea . Looks like it'll finish up an awesome "bush ready" partner for Mazy. Is the wok mod just a "because we can" thing after converting to the Gemini starter or is there a practical reason for it? Thinking about doing the Gemini starter mod myself. 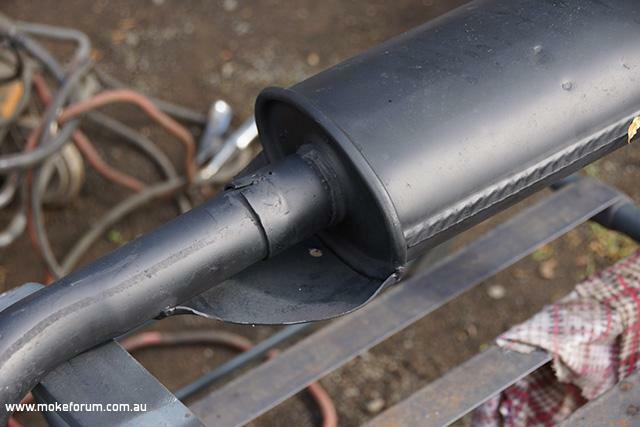 With renovating a house for sale, Moke repair/investigations had been put on the back burner since the last Tamworth. For those who remember, The Red One decided that the Liberal goverment's excessive fuel excise could no longer be tolerated & refused to do the mere 900klm's to go home. Today we bit the bullet, with the help of the newly purchased engine crane, proceeded to investigate The Red One's intolerances. We had to put the front up on stands, so the legs would fit under the sub frame. After removal and a bit a of persuasion with a rattle gun the flywheel unveiled her conundrum. 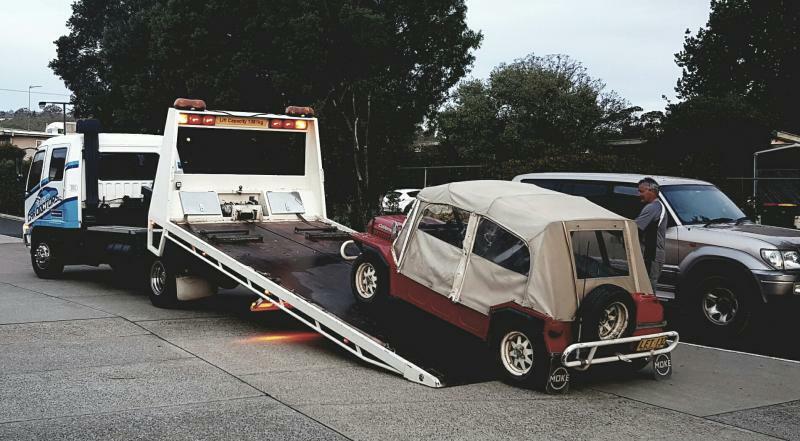 Her problem was that after a few adjustments in the Tamworth caravan park, a reasonably loud bang occurred & no gears were accessible forward or reverse. In fact it could be started in any gear. Has anyone seen or heard of this happening before on a Moke? Would the wear on the primary gear splines have caused this? Re: pressure under load. Also the inside bushes on the primary gear were scored. The crank is good. Anyhow a new primary gear & clutch plate are on order, so after a shake down, a trip to The Corner Store hopefully seems doable. Has anyone seen or heard of this happening before on a Moke?